A bruise is caused when a blood sinking into skin tissue from broken capillaries is coagulated under skin. Heparin, the main ingredient of this gel, loosens the coagulated blood by suppressing activity of Thrombokinase and Prothrombin in the blood. 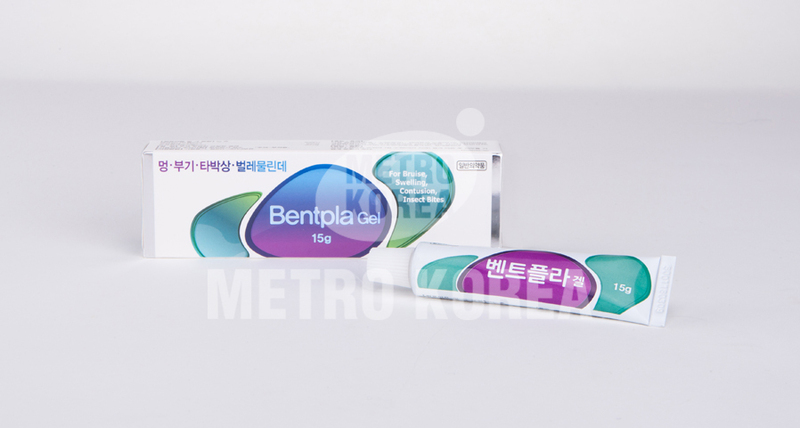 Bentpla is very useful as a household medicine because its other ingredients such as Aescin and Salicylic acid are effective for bug bite, contusion or swelling acting on analgesic or anti-inflammatory. Pain relief or anti-inflammation for the symptoms following: Venous edema, gastrocnemius​(In case of having a cramp), Superficial phlebitis, Post-accident trauma, Contusion, Tennosynovitis and Bug bite. 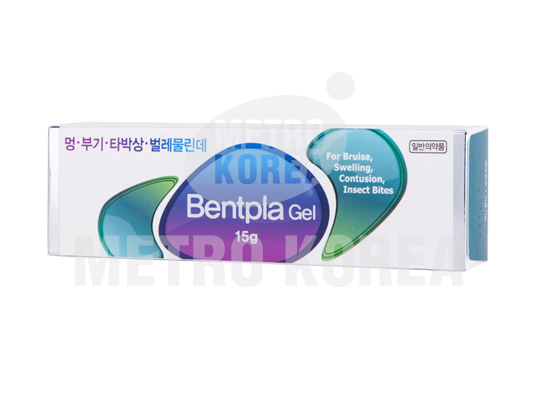 Apply the gel slightly to the affected areas several times a day and then rub it softly.